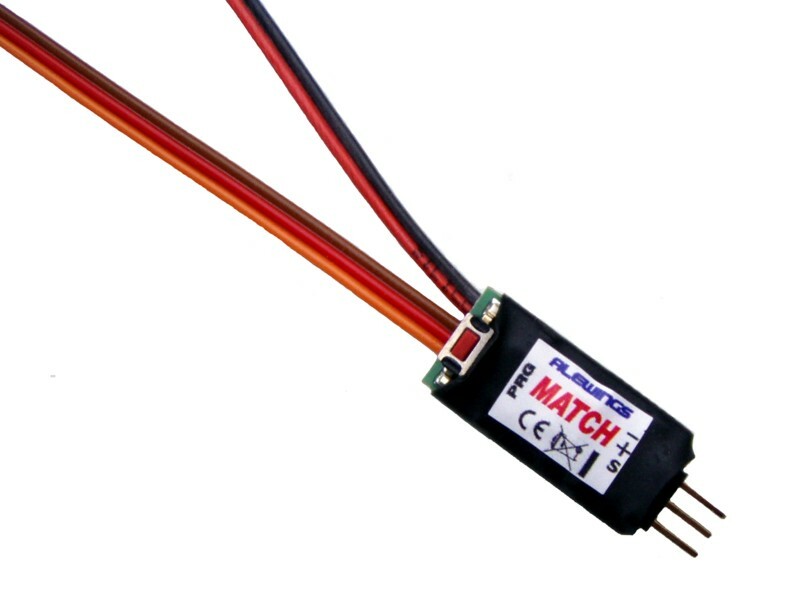 Match module is a very useful device for programming servos. It is able to manage and synchronize the movement of two servos controlling the same part. In input it works with the signal of the receiver or of any Alewings power unit (miniMac,MAC, ecc..). It has to be connected between the receiver and the servos you want to synchronize (es. : the servos for rudder or for elevator or for every single aileron). You can set central position, end points and direction. It assures that the servos don’t work contrasting one another, improving their power, speed, current drain and reducing wear. 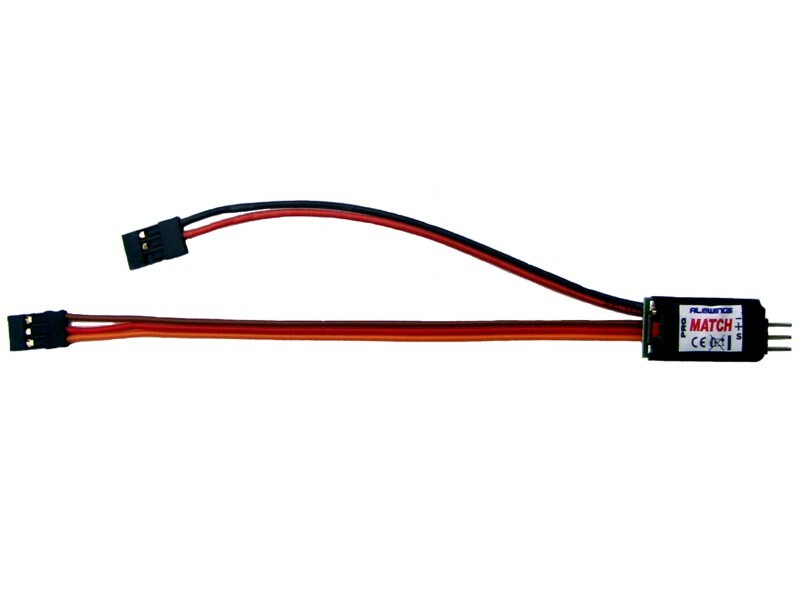 Ideal for connecting two servos (even with opposite movement activating the Reverse function) to the same receiver channel, so that you can save one channel. You can set it easily using your transmitter and the button on the device. Each of the two outputs is protected by a fuse (not self-resetting) for avoiding short circuits.